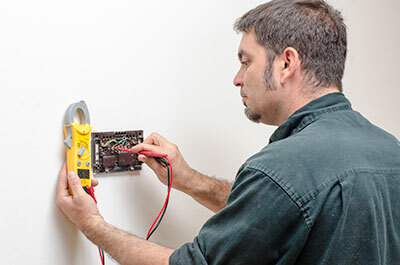 Boerne Air Conditioning Experts are the local leaders in heater repair in Bergheim, TX and the nearby communities. In South Texas, there are typically two basic foams of central heating—furnaces and heat pumps. It can often be difficult to know which one is right for your home. The truth is, it really depends on what you are looking for. Luckily, our team of professionals is happy to break down the pros and cons of both heat pumps and furnaces in order to help you decide. First, let’s talk heat pumps. Heat pumps are unique devices. They are air conditioners that can also work in reverse to heat your home. Instead of creating heat, like a furnace does, heat pumps move heat from one point to another. For example, in the summer heat pumps move heat from your home and deposit it outside. In the winter, the process is reversed and heat is moved from outside into your home. Heat pumps are beneficial because they work efficiently year-round. One investment can help you reduce your heating and cooling bills. They are also more environmentally friendly. Heat pumps can create one-and-a-half to three times more heat energy than they consume; however, heat pumps are typically more expensive than furnaces. Although, you are also getting an efficient air conditioner. They also may require a backup heat source. For extremely cold nights in Bergheim, TX, backup or supplementary heat (such as a furnace) may be required. Gas furnaces, on the other hand, are one of the most common types of heating systems in Texas. Furnaces create heat by burning natural gas. The heat is transferred to the air and spread through your home. They are beneficial because they are less expensive than heat pumps. 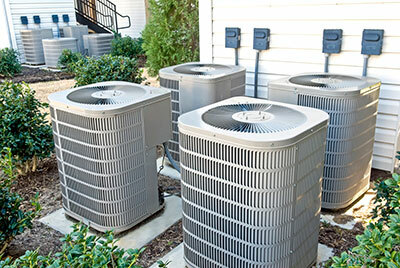 Although you will need to upgrade your air conditioner separately to get the same year-round savings. They can also be very energy efficient. Gas furnaces can be up rated up to 97% AFUE, which means they convert 97% of the gas they consume into heat; however, they are still not as energy efficient as heat pumps. But gas costs much less than electricity, so a new furnace can still save you money. Furnaces also work on even the coldest nights and no backup heat source is needed. To decide if a heat pump or furnace will better serve your home, you really need to weigh the pros and cons for yourself. For example, if energy efficiency and being “green” is the most important to you, a heat pump is your best option. However, if you just purchased a new air conditioner, it may not make sense to spend the extra money on a heat pump so soon. At Boerne Air Conditioning Experts, we understand that this can be a difficult decision to make as a homeowner—and it’s definitely a decision that should not be taken lightly. Luckily, our staff at Boerne Air Conditioning Experts is happy to answer any and all questions you may have about both kinds of heaters, furnaces and heat pumps. We’ll help you narrow down your options and determine the perfect match for your home and your needs.